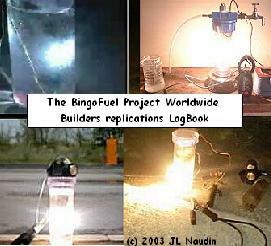 The gas coming out from this Underwater Plasma Electrolysis is burnable without pollution, called Bingofuel, Aquafuel, SynGas, Synthetic Gas it’s COH2(Carbon Monoxide + Hydrogen 66%, Carbon monoxide is DEADLY gas, but is eliminated when burning occur). If the water is enriched with carbonates like sugar or sewage, the carbon electrode live longer. In the race for buckyballs, Nobel prize winning scientists discovered a third form of carbon – C60 – created by striking an electric arc in a gap between carbon electrodes within a vacuum. This new carbon molecule has fantastic properties and holds tremendous promise for creating great new carbon-based materials and products. Leading scientists and authorities initially scoffed at the discovery and dismissed it as “junk”. Beyond buckyballs, a new carbon electrode arc technology is now being used UNDERWATER to produce ultra-clean-burning, low-cost alternative synthesis gas, or Syngas called AquaFuel. This simple method of producing a hydrogen/carbon/oxygen gas holds great promise for energy and chemical production. 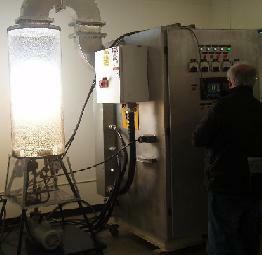 AquaFuel is being produced in demonstration units and is now undergoing tests in engines and research labs. The petroleum industry can now increase the value of the petroleum coke product resulting from crude oil processing. Coke may now be economically combined with hydrogen and oxygen from water with this new efficient electro/chemical process. Coke and water can become the perfect pollution solution. Other carbon sources including the growing mountains of old tires have been recycled and the carbon reclaimed and used for this clean fuel production process. Even the carbon from biomass is being converted to fuel with this technology. 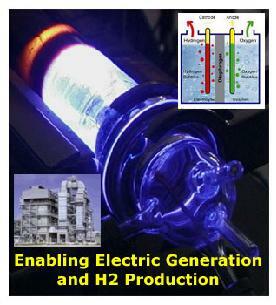 This process is similar to MIT’s work on the plasmatron (See Plasma Reformer-Fuel Cell Systems For Decentralized Power Applications International Journal of Hydrogen Energy -January 1997) where various hydrocarbons are subjected to an electric arc and reformed into H and CO. EPRI has chosen a demonstration 2MW molten carbonate fuel cell (MCFC) unit as most suitable for urban needs. Because of the high operating temperature, hydrogen and carbon monoxide can be used as fuels for the MCFC. Instead of reforming complex hydrocarbon chains however, the AquaFuel process obtains hydrogen and oxygen from water and consumes the graphite electrodes. To make AquaFuel – a low voltage/high amperage ac or dc electric arc tunnels through water between the tips of carbon electrodes. The 5,000 to 7,000 oF heat from the arc dissociates nearby water molecules into hydrogen and oxygen atoms. Carbon atoms break loose from the electrodes and form bonds in this high energy plasma soup. The resulting hydrogen/carbon/oxygen molecules cool and bubble up to the surface in the surrounding water. Nontoxic carbon dioxide and water vapor are the exhaust products from AquaFuel and air combustion. Hydrocarbons, nitrogen oxides, and carbon monoxide emissions are negligible even without any pollution control equipment of any type. Automobile engine oil stays clean and lasts long – reducing the need for frequent oil changing and cutting waste oil disposal problems. AquaFuel combustion creates lower exhaust gas and engine oil temperatures – helping to preserve oil integrity while the system runs cooler than burning gasoline in the same engine producing nearly the same power. Poisonous carbon monoxide, nitrogen oxides, sulfur dioxide, and other poisons are not produced when AquaFuel is burned with air. No pollution control equipment of any type is needed to achieve pollution-free emissions. To make COH2 – a low dc voltage in the range 30 to 50v at high current is used to produce an electric arc which tunnels through water between the tips of common carbon electrodes. The 5,000 to 7,000 degrees F heat from the arc dissociates nearby water molecules into hydrogen and oxygen atoms. Carbon atoms break loose from the positive electrode and form bonds in this high energy plasma soup. The resulting COH2 molecules cool and bubble up to the surface in the surrounding water where they are collected and ready for combustion. Fuel Conversion efficiency = 3.93/2.25 = 175%, COP=1.75 This confirms the gas production process efficiency is overunity. Where does this COP come from? The covalent radius of a neutral hydrogen atom is 0.0371 nm, smaller than that of any other element. Because small atoms can come very close to each other, they tend to form strong covalent bonds. As a result, the bond dissociation enthalpy for the H-H bond is relatively large (435 kJ/mol). H2 therefore tends to be unreactive at room temperature. In the presence of a spark, however, a fraction of the H2 molecules dissociate to form hydrogen atoms that are highly reactive. One thing we noticed immediately was that now, with this new gas fuel we could operate the petrol engine indoors with no nasty exhaust smells, in fact there is no smell at all. AquaFuel burns in conventional engines so cleanly that internal combustion engine exhaust gas emission is actually cleaner than any fossil fuel, as confirmed by Briggs & Stratton, one of the leading dynamometer emission test labs. The following engine tests were performed on the same IC engine by comparing Aquafuel to Gasoline. Abstract — Method of generating electrical power without emission of harmful substances from combustion of a water-derived fuel gas mixture. An underwater carbon arc operated in the absence of hydrocarbons results in a mixture of gases, being non-self-combustible but combustible as a fuel gas in the presence of air, and comprising gaseous hydrogen in major amount and carbon oxides in minor amount, mainly carbon monoxide. The fuel gas is adapted, along with air, to run an internal combustion engine driving an electrical generator and so to provide useful electrical power without the harmful emissions usual in combustion of fossil fuels. Abstract — Operation of mechanically or electrically driven vehicles, whether suitable for air, land, or sea transport, substantially pollution-free by operating their internal-combustion engines on a leak-resistant fuel gas derived by pyrolysis of carbon and water. Abstract — Electric arc material-processing system wherein an underwater spark gap is defined in a reactor by spaced graphite electrodes and a conductive carbon rod provided endwise to the gap. The electrodes are rotated by mechanical means, intermittently or continuously. Carbon and water are thereby converted into fuel gas, evolving from the arc, and comprising hydrogen as the major constituent and carbon monoxide as predominant minor constituent. Both the fuel and its combustion products are substantially free from contaminants found customarily in petroleum-based fuels and their combustion products. Surplus heat enables water from any source to be rendered potable. 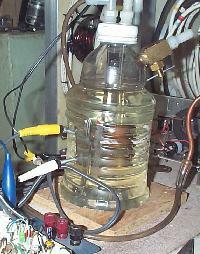 “The AquaFuelTM is a non-fossil combustible gas discovered by Mr. Bill Richardson and currently developed by Technology Licensing (TTL): http://www.toupstech.com of Largo, Florida, which is produced by an electric discharge of carbon arcs within distilled, fresh, salt or other types of water, thus being essentially composed of Hydrogen, Oxygen, Carbon and their compounds”. This technology has already been patented (US#5,159,900 and US#5,417,817 and US#5,435,274). This generator produces a mixture of carbon monoxide and hydrogen (COH2) and this is a gas which burns very cleanly in oxygen or air, and it can be used as fuel for an internal combustion engine. When burned, COH2 produces carbon dioxide and water vapor, so it generates very little, if any, pollution. Be Carefull, this device generates an explosive gas, you must conduct this test in a well ventiled room or better in open air, you must not smoke during the test.. Don’t forget that the carbon monoxide (CO) is a very toxic gas, so never breath this gas before burning it. The fuel tank ( not used here ) has been completely removed for this test. The air filter has been removed and the synthetic gas output is directly placed at the carburetor input. The electric energy data were measured with our wattmeter UNIGOR 390 LEM. This wattmeter was tested on an ohmic heater placed in series with the CFR, so with the same perturbed current. Values obtained by boiling and by the wattmeter were in accordance within 1%. Abstact : Methods and apparatus are described for releasing energy from hydrogen and/or deuterium atoms. An electrolyte is provided which has a catalyst therein suitable for initiating transitions of hydrogen and/or deuterium atoms in the electrolyte to a subground energy state. A plasma discharge is generated in the electrolyte to release energy by fusing the atoms together. British researchers believe that they have made a groundbreaking scientific discovery after apparently managing to “create” energy from hydrogen atoms. – JP5027062 : GENERATION OF ABNORMAL HEAT- 1993. Fusion is the act of joining two light atomic nuclei. This will yield excess energy in the form of radiation and high speed particles. This is the process believed to power the Sun which gives this planet warmth and life. Normally, hydrogen and its isotopes are used in this process as fusion is easier to accomplish with low “Z” nuclei. The only easy fusion reaction suitable for amateur study is that involving deuterium-deuterium or “d-d” fusion. This page is all about the amateur effort at creating fusion. The process is easier than you might imagine! 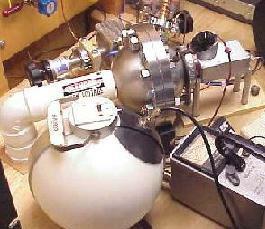 The fusor III setup of Richard Hull is shown in the above photo. It is the result of 3 years of work with the IECF (Inertial Electrostatic Confinement Fusion) concept. The Fusor was the brainchild of Philo T. Farnsworth, the inventor of electronic television. The device is best described as a spherical geometry, electrostatically focused, deuteron accelerator-collider. This site is dedicated to the amateur scientist studying high energy physics. It is an overview of the work done by our local group of physics enthusiasts. This embodiment of the fusor demonstrator concept allowed portability for demonstrations at hamfests, local meetings, and other gatherings of those interested in the fusor concept. Being totally self contained, except for the vacuum pump, this system allowed for easy grid changes and alterations. The Automatic Cathode Feed Control Circuit for Plasma Electrolysis. A free energy friend of mine needed an automated wire feeding system.His plasma flame was so hot that the wire melted. This didn’t happen at aconstant rate, so he needed to automate the wire feed. My idea was using optical fibers and Light Dependent Resistor, LDRs, to detect where the plasma flame was positioned and adjust the wire accordingly. The actual implementation is shown next. 17 years ago, Stanley Pons and Martin Fleishmann captured the imagination of the world with their announcement of fusion at room temperature. ..
After its recent formation in California, the company D2Fusion has extended an invitation to Dr, Fleischmann to work with them as a senior research advisor, with the objective of bringing a commercial application of the technology to market. A California-based solid state fusion energy firm with engineering centers in Silicon Valley and Los Alamos, New Mexico, D2Fusion is a subsidiary of Solar Energy Limited (OTCBB:SLRE). On Thursday (March 23rd), the seventeenth anniversary of the original announcement of cold fusion, the company announced that they will tap Dr. Fleischmann’s experience and expertise to produce prototypes of solid-state fusion-heating modules for homes and industry. David Kubiak, Communications Director for D2Fusion, expects that in a little more than a year the company will have a production prototype ready. Although the number and scale of potential applications is wide and diverse, they would like first to target the home-heating market. Another market sector they are looking at is providing independent heaters for cars.As fuel efficiency increases, the engine temperatures will be dropping, which means the heater in the car will no work as well.Kubiak said the present efficiency is very low in converting engine heat to cabin heat.Their technology could address this market segment. Also, they have been eyeing the WhisperGen device, presently on its maiden voyage in the London area with about 400 test installations. That system has their attention because it can use a wide variety of sources for input heat to generate electricity output. The WhisperGen is a Stirling engine technology, also called an “external combustion engine”, inasmuch as the heat source operates from outside of the engine to effect the turning of components within it. A company press release explains that, in brief, “cold fusion involves the fusion of two nuclei of deuterium or heavy hydrogen into a single helium atom, accompanied only by a burst of heat. Unlike “thermonuclear hot fusion” that requires the plasma-inducing inferno temperatures of the sun or a hydrogen bomb, solid-state fusion reactions can be produced at normal temperatures in certain hydrogen-loving metals without unleashing hot fusion’s dangerous radiation. Many experimental reports suggest the importance of nano-scale reaction sites and the occurrence of coherent quantum electrodynamic (QED) states that circumvent the strong mutual repulsion of positively charged deuterium nuclei. The QED features are markedly similar to processes now familiar in solid-state physics, such as superconductivity, and have led the company to conclude that “solid-state fusion” is a more accurate and fruitful characterization of the field than the term cold fusion. Brief answers to all 525 questions are available in the Internet in Russian, site: http://Kanarev.innoplaza.net Article 104. Detailed answers to all 525 questions are published in the study guide: Kanarev Course of lectures in physchemistry of the microworld, 2nd edition. Krasnodar 2007. 540 pages (in Russia). Additional information concerning all given questions is published in the monograph of Kanarev Ph.M. The Foundations of Physchemistry of the Microworld. 8th edition, Krasnodar 2007, 750 pages (in Russian). To see the all 525 questions, go to the dedicated webpage on the ZPE part of this website, at Kanarev in the index (click ZPE banner on top of this page). – 312. Do the electrons or the protons of the hydrogen atoms combine the water molecules into the clusters? – 313. If the water molecules combine the protons of the hydrogen atoms into the clusters, by how many orders is a geometrical size of such contact smaller than two water molecules combined into a cluster if they are represented spherically? – 314. If the contact size is less that a size of two molecules by 6 or 7 orders, isnt it the main reason of fluidity of the water molecules? – 315. How many molecules can be in a water cluster? – 316. How are the binding energies changed in the cluster of the water molecules? – 317. Why water expends when it freezes? – 318. Why have the snowflakes an openwork hexagonal form? – 319. Why does an aggregate of the clusters of the water molecules acquire a hexagonal form when water is treated by melodic classical music fro a long time? – 320. Why do the water clusters form the openwork hexagonal formations when they are treated by a still voice of a prayer? – 321. Why does water, which has been treated by a voice of the prayer for a long time, acquires the medicamentary properties? – 322. Why does water form the clusters of the chaotic forms when it has been treated by jive? – 323. Can a prolonged influence of jive on a human organism form the clusters of the water molecules of the chaotic form, which cause various diseases inevitably, in the organism? – 324. How are the musical melodies connected with a process of a change of the binding energies between the water clusters? – 325. Will the mankind learn to use the process of the formation of the harmonic water clusters in the human organism for health strengthening? – 326. Is the cluster formation process endothermal or exothermal? – 327. How many electrons can a water molecule have? – 328. In normal state, a water molecule has 10 electrons; eight of them belong to the oxygen atom and two electrons belong to the hydrogen atoms. Are there 10 electrons in the water molecule? – 329. Can a water molecule have 9 electrons? – 330. Can a water molecule have 8 electrons? – 331. Can a water molecule have 11 electrons? – 332. Can a water molecule have 12 electrons? – 333. If all molecules of one litre of water have by one electron more or less as compared with the normal state, can this difference be registered by a weight method with the help of the measurement instruments? – 334. Are the hydrogen atoms connected always only to the axial electrons of the oxygen atom? – 335. Can the hydrogen atom be connected to a circular electron of the oxygen atom in the water molecule? – 336. Why is the hydroxonium formation process an endothermic one? – 337. What properties are imparted by hydroxonium to water? – 338. Can the proton of the hydrogen atom in the water molecule be in a free phase state and form its acidic properties in this manner? – 339. Why is the hydrogen dioxide formation process an endothermic one? – 340. Do the electrons of the hydrogen atoms or the oxygen atoms absorb the photons before the formation of a hydrogen dioxide molecule? – 341. Is it possible to attachOH– ions to all six ring electrons of the oxygen atom in a water molecule? – 342. Why has pure water infinitely large electrical resistance? – 343. Why is electrical resistance of water decreased if an alkaline ion or an acid ion is introduced into water? – 344. Can water accumulate large electric potential? – 345. Why is large electric potential accumulated in water when an alkaline solution of water goes through plasma oftentimes? – 346. Why does plasma take place when a cathode area is decreased as compared with an anode area? – 347. 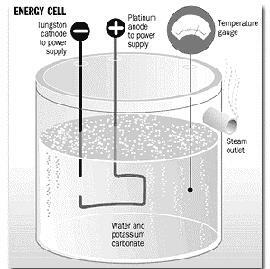 What temperature can plasma have when plasma electrolysis of water takes place? What does it depend on? – 348. What phenomenon is generated by noise when plasma electrolysis of water takes place? – 349. 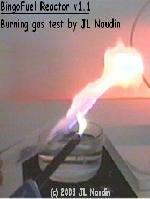 What does a gas exhaust depend on when plasma electrolysis of water takes place? – 350. Is it possible to decrease quantity of hydrogen burning in plasma when plasma electrolysis of water takes place? – 351. Why does a transmutation of the nuclei of chemical elements take place on a cathode surface when plasma electrolysis of water takes place? Can a plasma electrolytic process serve as a basis in the study of the transmutation of the nuclei of the atoms of chemical elements? – 352. Why is additional thermal energy generated during the plasma electrolysis of water only in turbulent motion of the solution in the plasma zone? – 353. Can electrical potential be accumulated in geological water in the high temperature zones? Can the underground lightings be formed? – 354. What geological formations are formed by the underground lightings? – 355. What form have the geological formations, which are formed under the influence of the underground lightings? – 356. Why do the geological concretions consist of iron mainly? – 357. Can such formation be met on the surface of the Earth or on the ocean bed? – 358. Can excessive thermal energy be obtained if an influence is exerted on the ions and the clusters of water? – 359. 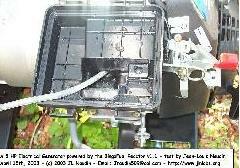 It is known that voltage for water heating can be supplied continuously and by pulses. What process is more effective when the influence is exerted on the ions, the clusters and the molecules of water? – 360. Why is electric energy consumption for solution heating decreased and electric efficiency of the process increased when a preplasma operation mode is formed? – 361. How does electric efficiency of the process of water solution heating depend on a value of a dielectric gap between the electrodes? – 362. What is a value of direct energy efficiency in case of the pulse influence on the water solution: 100%, 1000%, 3000%, 5000%? – 363. How does electric efficiency of the pulse processes of water solution heating depend on a pulse form? – 364. How does electric efficiency of the pulse processes of water solution heating depend onpulse frequency? – 365. How does electric efficiency of the pulse processes of water solution heating depend on pulse duration? – 366. How does electric efficiency of the pulse processes of water solution heating depend on a duty ratio? – 367. How does electric efficiency of the pulse processes of water solution heating depend on its density? – 368. How is a process of additional thermal energy generation connected with a law of conservation of energy? – 369. Can pulse energy efficiency of water solution heating be realized with the help of an electronic pulse generator? – 370. What is the wording of a power formation law in an electric circuit, according to which the power is determined in its any section? – 371. Why is the power formation law in the electric circuit discovered only at the beginning of the 21st century? – 372. In what way was an existence of the power formation law in the electric circuit proved theoretically? – 373. In what way was an existence of the power formation law in the electric circuit proved experimentally? – 374. The electric circuit law wording is as follows: average power in any section of electrical network is equal to a product of an average value of voltage by an average value of current. What energy consequences result from this law? – 375. How is an average value of voltage determined if voltage pulses have a triangular or rectangular form? – 376. How is an average value of current determined if current pulses have a triangular or rectangular form? – 377. By how many orders is power on the energy consumer terminals in the form of the synchronously changing pulses of voltage and current with 100 duty ratio smaller than power on the primary power source terminals with a constant process of voltage generation in accordance with the law of formation of electric circuit power? – 378. Will power on the power supply source terminal be equal to power consumed by the pulses with 100 duty ratio in accordance with the law of formation of electric circuit power if the initial power supply source operates continuously? – 379. By how many orders is power on the terminals of the above-mentioned power source being determined in accordance with the law of formation of electric circuit power larger than power on the energy consumer terminals being determined in accordance with the law of formation of electric circuit power as well and why? – 380. What should be done that power on the electric energy pulse consumer terminals can be equal to power on the initial power source terminals? – 381. If the initial power supply source produces voltage not continuously, but by the pulses corresponding to the voltage pulses on the consumer terminals, powers on the terminals of the power supply source and the consumer will be equal. Can it be apprehended? – 382. What is the main parameter that restricts an increase of efficiency of the electromechanical generator of pulses? – 383. Is it possible to create high performance electromechanical generators of pulses of voltage and current of various powers? – 384. Synchronism of the formation and consumption of pulse electric energy is the main condition of power equality on the terminals of the primary power supply source and the consumer. What is a value of mechanical losses for an electromechanical generator drive in this power balance? – 385. Can 30fold energy efficiency of the heat generation process exist if electric power on the consumer terminals is 30fold as little than thermal power generated by a pulse energy consumer when the electronic pulse generator is used according to the law of the electric circuit power formation? – 386. What power supply source realizes energy efficiency of a pulse influence on the ions and clusters of water when it is heated? – 387. What are the losses in the electromechanical generator of pulses? – 388. Why is additional thermal energy formed in the ventilation systems and the hydraulic systems of water cavitation? – 389. On what energy levels are the electrons of hydrogen atoms in water molecules? – 390. Why is energy, which is spent on an electrodynamic or mechanic bond opening in the molecules of gases and liquids, less than energy of thermal rupture of these bonds? – 391. By what value is binding energy between the hydrogen atoms and the oxygen atoms in the water molecules changed when it is heated by one degree? – 392. How does mass of the molecules of gases and liquids depend on their temperature? – 393. Why are the hot molecules of gases and liquids heavier that the cold ones? – 394. In what technical devices is a difference of masses of the hot and cold molecules of liquids realized in order to obtain an effect? – 395. In what technical devices is a difference of masses of the hot and cold molecules of air realized in order to obtain an effect? – 396. In what natural phenomena is a difference of masses of the hot and cold molecules of air observed? – 397. The existing theory of low voltage electrolysis of water forecasts a separation of the hydrogen atoms from the water molecules and further fusion of the hydrogen molecules. In this case, the hydrogen atoms pass a free state phase when plasma of atomic hydrogen is formed, but no plasma is formed in the actual low voltage processes of water electrolysis. Why? – 398. Why does a theoretical calculation of hydrogen molecule fusion energy during the low voltage electrolysis of water show availability of additional thermal energy, but this energy is not available in the actual experiments in the manufacturing cycles of hydrogen production? – 399. Is there a structure of the cells where a water electrolysis process takes place with average current of 0.02 A? – 400. In what way does energy efficiency of the low current electrolyzer depend on a distance between the electrodes? – 401. In what way does energy efficiency of gas production from water depend on solution density in case of pulse power supply of the electrolyzer? – 402. In what way does energy efficiency of gas production from water depend on a geometric form of the electrodes in case of pulse power supply of the electrolyzer? – 403. In what way does energy efficiency of gas production from water depend on a chemical composition of the solution in case of pulse power supply of the electrolyzer? – 404. Why are the gases evolved in a low current electrolytic cell within many hours after the external power supply has been switched off? – 405. How can this process be intensified and its duration be increased? – 406. Why does a positive charge take place on the upper electrode and a negative charge on the lower one in an empty low current electrolytic cell? – 407. Why does a potential appear at the electrodes of the low current electrolytic cell before it is filled in with the solution? – 408. Why does a larger charge appear at the cell electrodes during filling-in of the low current electrolytic cell with electrolyte than at the electrodes of an empty cell? – 409. Why is a potential at the electrodes of the low current cell not reduced to a zero? – 410. Does a constant potential at the terminals of the operating electrolyzer reflect the electric energy expenses for an electrolysis process? – 411. How can an influence of the constant potential at the electrolyzer terminals on water electrolysis process energetics be eliminated? – 412. Can energy expenses for hydrogen production from water be reduced considerably? – 413. Does productivity of the cell with the funnel shaped electrodes depend on their sizes? – 414. Being charged, any electrolyzer acquires electric potential being equal to approximately two volts per cell. Further gradual reduction of this potential points at the fact that it can be charged not continuously, but by pulses. How can the electric energy expenses for a water electrolysis process be reduced in this case? – 415. Is it possible to realize energy effect of pulse power supply of the electrolyzer in accordance with the law of power formation in the electric circuit if the primary electric energy source generates voltage continuously? – 416. What primary electric energy source should be to make it possible to realize energy efficiency of the pulse power supply process of the electrolyzer in accordance with the law of electric circuit power formation? – 417. What value will the law of electric circuit power formation have for future pulse energetics? “Nuclear Transmutation Reaction Caused by Light Water Electrolysis on Tungsten Cathode Under Incandescent Conditions”. Many others have repeated these experiments and gotten over 200% energy out vs in, but no one that know of has exceeded 300%. GENERAL QUANTUM MECHANICS : General Quantum Mechanics is not a continuation or improvement of contemporary Quantum Mechanics.It is a totally new Fundamental Science.GQM is a theory of Everything explaining our world in all of its aspects. QUANTUM FREE ENERGY : Quantum Free Energy is an unlimited source of high quality free energy.QFE has no alternatives in the Field of Free Energy Sources.QFE has multiple applications including: unlimited source of inexpensive and safe energy for everyday needs; gama-lasers; nano-technology applications; very powerful and compact particle accelerators. The current situation in Fundamental Science (Physical or Biological) is admittedly chaotic and confusing. Not one contemporary and officially accepted fundamental theory covers more than a small fraction of the total field of fundamental science. Life is considered to be a product (not necessary) in the evolution of inanimate nature. The present-day structure of physical thought is made up of a host of separate theoretical models, loosely related, and at many points actually conflicting. Quantum Mechanics is pure mathematics (very complicated); it contains a little amount of fundamental principles, and almost no philosophy. Except for some simple applications, contemporary Quantum Mechanics is wrong science. The Standard Model is based on the wrong idea of exchange or virtual particles (non existing in principle) in the process of interaction (from distance) between material particles. This is an absolutely wrong science. Einsteins theories of relativity are wrong too  they dont explain the fundamental essence of considered phenomena. Einsteins main idea about Unified Field Theory and his famous Principle of Separation pushed the evolution of the Fundamental Science in the wrong direction for many decades. Einsteins ideas are some of the most destructive ideas ever existing in science. Elementary Particles hypothesis  based on the wrong Standard Model  are chaotic and confusing. They are wrong. Cosmological hypothesis  based on the wrong idea about the Big Bang beginning of our universe  is also wrong. Contemporary Fundamental Science is now in a Dead End  it exhausted its mathematical possibilities for explaining the new discovered phenomena, its reservoir of basic scientific dogmas desperately needs general reform and renovation. You can ask me the question: Is there an already created General Theory of Everything? My answer is decisively Yes. General Quantum Mechanics is this Ultimate Fundamental Science. Dear Reader, whatever you are  professional or laic  if you want to learn and understand the ultimate secrets of the world in which we live, secrets given to me by revelation from God, you must be willing to fight and overcome in yourself the demons of preconception, conceit, scientific pride, haughtiness, envy, and religious or national chauvinism. The science is given by God  through the revelations given to the scientific prophets  to all His children  human beings  for practical use and for satisfaction of one of the most important human features  the inborn curiosity to reveal the secrets of the surrounding world and our place in this world. Canadian Breakthrough in Power Generation . Non-Polluting Electrical Power from Pulsed Cold Plasmas Delivers More Power than it Consumes . Prepares for Manufacturing Development . Dr. Paulo Correa, M.Sc., Ph.D., Partner and Director of Research at Labofex– Experimental and Applied Plasma Physics of Concord, Ontario and Partner Alexandra Correa, (Hon) BA are today announcing a significant breakthrough in the field of clean power generation. The technical basis for the extraction process has been a carefully guarded secret until full disclosure was secured through the granting of three US patents: US Patent #’s 5,416,391, issued on May 16, 1995 and entitled “Electromechanical Transduction of Plasma Pulses”; 5,449,989, issued September 12, 1995, entitled “Energy Conversion System” and 5,502,354, issued on March 26, 1996, entitled “Direct Current Energized Pulse Generator Utilizing Autogenous Cyclical Pulsed Abnormal Glow Discharges”. The Correa grid-independent Energy Conversion System utilizes an energy reactor whose function is based upon heretofore unknown spontaneous emission properties of certain metals in vacuum and involves an anomalous cathode reaction force conforming to Dr. H. Aspden’s Law of Electrodynamics. The associated Motor Drive provides for direct electromechanical transformation of the energy accumulated within the reactor. 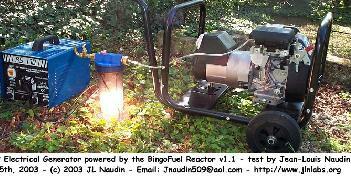 The reactor may be conceived of as a portable vacuum battery made active only when needed. The Correa technology employs cold-cathode vacuum discharge plasma reactors to set up self-exciting oscillations, in the form of pulsed abnormal glow discharges triggered by auto-electronic emissions, in order to produce power. The circuit is driven from a direct current source of impedance sufficient to prevent establishment of a sustained vacuum arc discharge. In combination with a special circuit, electrical power, in excess of the input power needed for operation, can be extracted. The System, therefore, may also be referred to as an over-unity system: where net energy output greatly exceeds net energy input. Unlike the cold fusion process, which claims to output low grade heat, the Correa technology directly generates electricity at power voltage levels, without any utilization of cold or thermonuclear fusion principles. Another important feature of the apparatus is that it employs no radioactive compounds and generates no nuclear radiation or radioisotopes. The energy system is entirely pollution-free, self-contained and composed of readily recyclable materials. Storage of the power produced may be carried out by traditional means, be these mechanical or electrical. Energy conversion system applications for electric vehicles, stand-alone power supplies and autonomous housing are currently under development. The inventors hope that by making vehicles self-sufficient in terms of energy, this technology will offer the possibility of bypassing massive infrastructure expansions in order to make the electric vehicle a feasible reality while solving the problem of range which currently detracts from its appeal. Other potential applications include- pulsed lasers, inverters, transformer and motor circuits. The inventors are presently engaged in negotiating licensing agreements with a view to development of the applications. (Excerpt) A.I. Koldomasov’s device piezo-electrically vibrates a mix of waters through a special dielectric material to produce heat energy in more abundance than the energy which powers the oscillator. The device is reported to put out 40 kilowatts of heat energy with only two kilowatts of electrical input. Last year Dr. Josef Gruber described a visit to the research institute where Koldomasov is managing engineer. Koldomasov discovered the new energy source while observing cavitation-implosions in water such as found in “water hammer” in pipes. Gruber showed a photograph of the small device, filled with pure water mixed with only one per cent deuterium (heavy water). Although there are no spark plugs or similar equipment, electrical discharge could be seen. Energy comes out in the form of both heat and electrical current. Depending on kind and location of the magnets, DC or AC (electricity) may be observed. Gruber said testing revealed 2000 per cent excess energy. Steve Krivit (New Energy Times) and Vladimir Vysotskii (Kiev) told of experiments by A. Koldomasov (Russia), Hyunik Yang (Hy-En Research Co.) and others involving flow of high-pressure machine oil or water through a small orifice ( 1 mm). There are experiments Korea and in Edmonton, Canada, and theoretical work in Russia. Krivitt showed a videotape of the Canadian device in action. In boron-doped oil at 30 atm the color is tawny; at over 40 atm, it is white; at over 60 atm it is clear, with a blue plasma jet downstream of the orifice. At 70-80 atm there is a bright blue beam 6 mm in diameter, and at over 90 atm a green glow appears upstream of the orifice. Hard x-rays were observed from the luminous region. The researchers claim that excess heat is generated from fusion reactions (possibly protons plus boron-11) during collapse of cavitation bubbles, and they detected He-4 emission lines from the cavitating fluid. Abstract — FIELD: production of hydrogen and oxygen.SUBSTANCE: the invention is pertinent to electric power installations. The installation intended for production of hydrogen and oxygen, and also for production of the energy emitted at fusion reactions going in a reactor. The installation contains: a dielectric resistant to cavitational emission housing for intake and gating of the dielectric medium in the form of a mixture of light water and heavy water, an insert mounted in the housing and made out of a dielectric material susceptible to cavitation emission and provided at least with two holes allowing an exit through them of the dielectric medium. The installation is supplied with a impulsator, a pump to deliver the working dielectric medium under pressure, a deflecting system of charged particles and, at least, two branch-pipes electrically isolated from each other and linked with vessels for hydrogen and oxygen collection. At that at exit of the insert in the housing there is a narrowing in the form of Laval’s nozzles, behind it along the stream run on the housing there is a deflecting system mounted, behind which the branch-pipes are located. The deflecting system may be electrostatic or magnetic. The invention ensures expansion of functionalities of the installation. One of the most important achievements of the 19th century physics was the discovery that a well defined amount of mechanical work is needed to generate one unit of heat — not less and not more. Joule demonstrated this in a well known paddle wheel experiment. Water was forced to flow through small holes in the paddles of a rotating wheel and the amount of heat was measured calorimetrically. But, at a recent conference, a Russian scientist, A.I. Koldamasov (1), described an exception from this rule. He claims to have a device in which the heat to work ratio is twenty times larger than what would be allowed according to Joules equivalence rule. His device, named reactor, is similar to Joules paddle wheel. But water, free of ions (resistivity 1011 ohm/m), is forced to flow through holes (diameters 1-2 mm) drilled in a plate made from the dielectric material (rather than from a metal). After reviewing basic concepts of thermonuclear physics Koldamasov writes: On the basis of the above theoretical ideas, a nuclear reactor producing energy of nuclear fusion reactions was designed and tested (see Fig. 1). The reactor operation is stable and well controllable. It gives 20 units of useful power per unit of supplied power. Furthermore, it is possible to obtain power both in the form of heat and directly electric energy, omitting steam water cycle. According to the consumers needs, the electric energy can be of both direct and alternating current. [Russian patent reference is given.] . . . I see a list of papers read at the 9th Russian Conference on Cold Nuclear Transmutation of Chemical Elements (September/October, 2001). It contains references (3) and (4). The session at which these papers were presented was chaired by A. B. Karabut, the author of what I described in item 13. The device is said to generate twenty times more electric energy that is needed to run its motor. Why is it not manufactured and used all over? I suspect that the 100% reproducibility claim was found to be highly exaggerated. Somebody probably tried and failed to produce a commercially successful gadget. 1) A.I. Koldamasov at Russian Conference on Cold Fusion and Ball Lightning, Sochi, Russia, 2002. Abstract: A temperature increase of short duration ø was observed in Koldamasovs cell when heavy water was locally added to the working fluid. The temperature did not changed when ordinary water was added, under analogous conditions. Adding lithium chloride to water resulted in registration of radiation in the scintillation detector. This study was undertaken to reproduce previously reported results (1,2) and to enlarge the scope of a more recent investigation (3). The central element of that installation, the Koldamasov cell, was made from the transparent organic glass. Bright glowing discharge (plasmoid) was observed in front of the opening in the insertion when cavitation was taking place. The insertion changes the cross section, available to the fluid, by two orders of magnitude. Pressures in cell were changed in the range of 10-40 atmospheres at the frequency of ~1000 Hz. The working fluid was oil whose temperature was ~33 C. At that temperature the viscosity of heavy water exceeds the viscosity of ordinary water by ~20%. This, however, could not lead to a significant increase of friction (resulting from addition of heavy water) because the viscosity of oil is ~20 times higher than that of water. Sensitive calorimeters were used to measure difference in temperatures between the input and output of the cell. The electrical diagram is shown in Figure 1. It is essentially a Wheatstone bridge in which R1 and R2 are thermistors. Medical injectors were used to introduce heavy or ordinary water at the entrance of the pump. The injected volume was one cubic centimeter and the time of each injection was ~10 seconds. The time was sufficiently long to mix the injected water with ~ 1000 cubic centimeters of oil. … see much more on the Rexresearch page ! According to (1,2) a new approach approach is possible to generate thermonuclear energy. An independent confirmation of this could lead to a broad investigation of that approach. Direct c onfirmation of Koldamasov work is difficult because the working fluid in his device was pure (double distillation) dielectric water. The reason is simple; the dielectric properties of pure water change drastically after it passes through the cell. Changed water must be purified before it can be reused. The total volume of working fluid was ~6 liters. It is remarkable that oil was not spoiled during its prolonged (`10 hours) circulation through the loop. An attempt to use less fluid liquid, a mixture oil and kerosine, also resulted in formation of plasmoid. But the pump deteriorated rapidly when that fluid was used. The setup is sufficiently compact to be used in practical applications. ABSTRACT — This is an introduction to the hydraulic-electrostatic cold fusion method that was first demonstrated to a small public group on June 6, 2005, in Edmonton, Canada. Observation of devices that appear to be 100 percent repeatable and of practical, commercial magnitude was seen. … This work was demonstrated by a group managed by Hyunik Yang, professor ofmechanical engineering at Hanyang University, Korea. Other members of this research team are Alexandr Koldamasov (ret.) of the Russian National Research Institute of Atomic Engineering, Andrei Desyatov, deputy director of the Russian Aviation and Space Agency at the Keldysh Research Center in Moscow, Alla Kornilova, physics professor and director at Moscow State University, Vladimir Vysotskii, physics professor at Kiev Shevchencko University, and Nahm Cho, professor of mechanical engineering at Hanyang University, Korea. … Strong reactions, achievement of higher power levels, have been difficult to obtain. The largest energy gain reported so far has been 2,500 percent by the Energetics Technology group from Israel. Reports from other researchers show power in the tens of watts; however, these experiments are rare and difficult to repeat. … The idea of using cavitation, the creation of rapidly expanding and collapsing cavities in fluids (bubbles), has been studied for many years by fusion researchers. 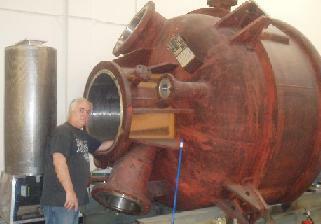 … Roger Stringham of First Gate Energies started using acoustic drivers to induce cavitation in 1989. As is typical with cold fusion experiments, his research uses palladium and deuterium as the main components as well as the acoustic driver. … The main components of the system are a resonant acoustic test reactor filled with deuterium-bearing fluid (acetone is one such fluid), the acoustic driver system and a nuclear particle-based bubble nucleation source. The new cavitation method uses high hydraulic pressures, high velocities and electrostatic effects. Two configurations are known. 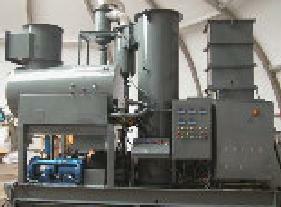 The first pumps machine oil in a fully enclosed recirculating system. 2,000 percent excess energy, in the form of heat, is reported by Koldamasov. The second configuration uses a partially enclosed recirculating system, and products of heat, steam, hydrogen and helium were reported to New Energy Times by Yang, though no data has been presented. … 1.5. Unique Characteristics of the Hydraulic-Electrostatic Cold Fusion Method This method differs markedly from both previous cold and hot fusion cavitation experiments. It differs from cold fusion work in that no host metal, such as palladium, is required. No deuterium gas or heavy water is required, and no electrochemistry is involved. The lack of electrochemistry requirements is a significant advance toward a commercial application, because electrochemistry is generally a very complicated, difficult-to-control environment. The basic components of this method besides the cell, pictured above, are a pump motor used to recirculate the fluid and a heat exchanger to capture the heat energy. … In multiple demonstrations starting on June 6, 2005, Fleischmann, McKubre, Hagelstein and Krivit observed operators turn the device on and off at will, on demand. Observers noted that operators could increase or decrease the input to the machine, and in turn, the observers watched the machine respond directly with a correlated heat energy production, as displayed on the control console. He4 production has been observed in an experimental setup which induces turbulence and cavitation in a flowing light-water solution containing B11. The assumed nuclear reaction, one of the most promising and ecologically benign, results from the absorption of a proton by the B11 nucleus, and yields three He4 nuclei: P + B11 -> 3He4. In this reaction, a substantial amount of energy (8.7 MeV) is released without the emission of neutrons or hard radiation, and the reaction products are non-radioactive. Production of He4 was detected by observing the spectral emissions from a stationary luminous region of turbulent cavitating fluid immediately downstream from a flow-controlling orifice channel. He4 emission lines identified in the spectra were emitted with intensities indicating concentrations of helium substantially above background. These emissions were only observed when using B11 solutions in the experimental setup, and after careful parametric optimization of the system. Additionally, a high rate of self-induced electrical discharges was observed traversing the luminous region and extending downstream for several centimeters. The effect of these discharges on helium production is currently under study. Initial calorimetric measurements indicate a significant evolution of thermal energy along with the production of helium, as expected from the mass deficit of the reaction products. Some runs have also been carried out using the same experimental apparatus, but substituting machine oil for the boron solution. With the system optimized for the use of oil, directed beams of hard x-rays were observed leaving the luminous region. The x-ray spectra resembled the emissions from heavy elements, possibly those present as contaminants in the oil. The beam directions appeared to be correlated with asymmetrical features of the luminous region. Further studies, possible models and other theoretical considerations are discussed. Navy scientists claim that slices of CR-39 plastic, like this one, have recorded the passage of atomic particles emitted during successful cold fusion nulcear reactions. Photo by Steven B. Krivit, New Energy Times. Cold fusion, the ability to generate nuclear power at room temperatures, has proven to be a highly elusive feat. In fact, it is considered by many experts to be a mere pipe dream — a potentially unlimited source of clean energy that remains tantalizing, but so far unattainable. However, a recently published academic paper http://www.springerlink.com/content/75p4572645025112/ from the Navy’s Space and Naval Warfare Systems Center (SPAWAR) in San Diego throws cold water on skeptics of cold fusion. Appearing in the respected journal Naturwissenschaften, which counts Albert Einstein among its distinguished authors, the article claims that Spawar scientists Stanislaw Szpak and Pamela Mosier-Boss have achieved a low energy nuclear reaction (LENR) that can be replicated and verified by the scientific community. Cold fusion has gotten the cold shoulder from serious nuclear physicists since 1989, when Stanley Pons and Martin Fleischmann were unable to substantiate their sensational claims that deuterium nuclei could be forced to fuse and release excess energy at room temperature. Spawar researchers apparently kept the faith, however, and continued to refine the procedure by experimenting with new fusionable materials. Szpak and Boss now claim to have succeeded at last by coating a thin wire with palladium and deuterium, then subjected it to magnetic and electric fields. The researchers have offered plastic films called CR-39 detectors as evidence that charged particles have been emerging from their reaction experiments. The Spawar method shows promise, particularly in terms of being easily reproduced and verified by other institutions. Such verification is essential to widespread acceptance of the apparent breakthrough and is an important precursor to scientists receiving the necessary funding to fuel additional research in the field. Fairchild International Corp. acquired SynGas Energy Corp. on March 08, 2005. No airborne emissions from inexpensive process that creates gas from biomass, waste wood, and low-grade coal, synthetic, low-cost, natural gas production technology. .” SynGas’ M-2’s can scale from a small town to an entire city. 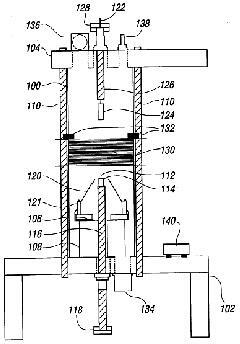 A system for producing a clean burning combustible gas comprising an electrically conductive first electrode and an electrically conductive second electrode. A motor coupled to the first electrode is adapted to move the first electrode with respect to the second electrode to continuously move the arc away from the plasma created by the arc. A water-tight container for the electrodes is provided with a quantity of water within the tank sufficient to submerge the electrode. In the 200 Kw version, the recycler can produce about 340 gasoline gallon equivalent (about 1,200 gasoline equivalent liters) of MagneGas per 24 hours day. A 1 MW plant comprising four recyclers can produce up to 8,500 gasoline Gallon Equivalent (about 22,000 Gasoline Liter Equivalent) of magnegas per 5 day week. Simply, in your plasma you will get ionized and magnetized H, O and C that will reform to H2, H3, H5, H7, etc. and C=H, CO, C=O and other chemical anomalies that will occur as a direct result of the strong magnetizing forces of the plasma arc on the individual atoms allowing them to recombine using strong magnetic N-S bonding versus normal chemical (valence) bonding. 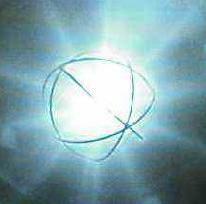 This is the result of polarizing the electron spins by the plasma arc (a high temperature N-S (+/-) magnetic reaction). Professor Santilli has already proven the existence of these new highly magnetic atoms and the strangely bonded ‘magnecules’ that they form using a number of independent chemical and spectrographic tests.He even has a patent on the process and had the honor of naming the new super-magnetic chemicals (MH) and (MO), and probably a bunch of others that will come along. (See his websites noted at the end of this Part). It should be noted that this ‘MagneGas’ is chemically different from the BingoGas, Aqualene, Truefuel or Carbo-Hydrogen that Richandson, JL Naudin, David Wallman, or Eldridge (1898) make from just creating an electric arc in water.Under those conditions the disassociated atoms tend to reform quickly within the plasma zone and form the normal gases that have been detected. Buy pushing the plasma gases away from the arc zone as quickly as possible and maintaining them in an electromagnetic field, whole new species of magnetically bonded chemical formations are created! The consumption of the carbon rod electrodes, however, is dependant upon the amount of carbon in the fluid being subjected to the plasma arc.Plain water will eat up rods real quick.Adding sugar or even household sewage (yuk) will increase the carbon content in the water, and will work just fine in the reactor.But you can even use old cooking oil, old crankcase oil, paints and thinners, cleaning solvents and even waste garbage if it is smashed up enough to go into solution. Comment :Plasma reactors have as much promise as resonance reactors in terms of water dissociation potentials.Both produce excessive gas over traditional electrolysis. How much depends upon system design. See the page for PLASMATRONS to read the Kramer’s article about the MIT’s Plasmatron and its adaptation to run a car only on water! After a long career as an academic, the Palm Harbor physicist says he isn’t getting the respect he deserves. He accuses other scientists of plagiarizing and distorting his writings. He says they dismiss his ideas for a new form of clean, efficient energy as fringe science. Meanwhile, the problem he aims to correct – global warming – is only growing worse. So what is a beleaguered academic to do? Santilli sues. Twice he has filed lawsuits in U.S. District Court in Tampa, asking a judge to order his foes to write lengthy apologies in scientific journals. He has asked for more than a million dollars in damages and legal fees. Santilli, 72, is also embroiled in a lengthy legal battle in Hillsborough Circuit Court and has filed lawsuits in Italy. In most of these cases, Santilli refuses to hire an attorney and represents himself in court, known as acting pro se in legal parlance. This leads to some unusual filings, including a 324-page complaint in federal court filled with mathematical formulas, scientific theories and references to academic journals. Another time, Santilli put a proposed settlement into the public record – a legal faux pas – in which he asked the editors of Infinite Energy magazine to devote a cover story to his latest project, an alternative fuel he calls Magnegas. – Academic clashes: Santilli grew up in a small town outside Rome. He was educated in Italy, at the University of Naples and the University of Turin. After a stint as a professor of nuclear physics at the A. Avogadro Institute in Turin, he was invited to teach at the University of Miami in 1967. From there, Santilli went on to posts at the University of Boston, Massachusetts Institute of Technology and Harvard University. Santilli said he left Harvard after “horrendous” fights with his colleagues over his work. “The primary reason was there was too much politics.” The crux of their disagreement is complex, but Santilli said it was caused by his insistence they needed to look beyond Albert Einstein’s theories in order to come up with a new method for creating energy. To the academic establishment, Santilli said, those ideas were heresy. “I don’t want to use strong words, but it is my opinion that we are living now in scientific obscurity that dwarfs by comparison the scientific obscurity imparted by the Vatican during Galileo’s time.” So Santilli and his wife, Carla, left Massachusetts in 1990 and settled in Palm Harbor, where he works as an entrepreneur. 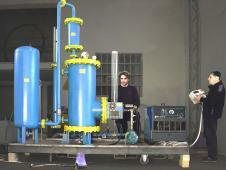 His latest project is a machine that converts liquid waste into fuel, which Santilli calls Magnegas. Magnegas is created when liquid waste, such as pig manure or engine oil waste, is passed through an electric arc and heated to 12, 000 degrees. The Magnegas bubbles to the surface and the liquid is expelled. At his Tarpon Springs workshop, Santilli keeps a Chevrolet Suburban that runs on Magnegas. He said he has sold several of the recycling machines abroad, and the city of Dunedin expressed interest, although officials there haven’t gone beyond preliminary discussions, said Douglas Hutchens, the city’s director of public works. 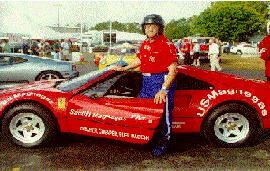 It was the invention of Magnegas that led to Santilli’s legal fight in Hillsborough County. – ‘He’s a scrapper’: In 1998, Santilli was hired as a consultant by a Tampa company called EarthFirst. They parted ways in 2001, according to court documents. Shortly after, Santilli sent a copy of a letter to several of the company’s prospective clients threatening to sue EarthFirst for allegedly violating his patent for Magnegas. Several clients refused to do business with EarthFirst after receiving the letter, court papers showed. EarthFirst sued Santilli, saying he violated a noncompete clause he signed. They also accused him of libel. A Hillsborough judge granted EarthFirst a temporary injunction against Santilli. After nearly five years, the case continues. In that case, Santilli sued a group of Italian physicists, the Libero Istituto Universitario Internazionale and the editors of Infinite Energy, among others. He accused them of fraud and plagiarizing his equations. His second federal case, which is very similar, is ongoing. While Santilli’s arguments can be hard to follow, judges traditionally give a lot of leeway to clients who represent themselves in court. Ragusa said he filed several motions to dismiss the case before U.S. District Judge James Whittemore agreed. “He certainly cost our clients a lot of money trying to dismiss a lawsuit we saw as frivolous, ” Ragusa said of Santilli. – Ex-colleagues mum: Even if his cases are dismissed, Santilli considers his effort a victory because his court filings spread his message to the scientific community. He does not trust the news media to present an unbiased view of his work. “You call the famous professor and the famous professor will say, ‘Oh, Professor Santilli is a weirdo. His science is not accepted by the establishment, ‘ ” Santilli said. “The news media is subservient to the scientific authority.” Finding people willing to discuss Santilli isn’t easy. Several former colleagues declined to be interviewed, saying they feared being sued. I am one that is in total agreement with Dr. Santilli trying to reduce our dependancy on foreign oil. It may not comply with Einstein’s theories, but the new Arc Technology was not available when his theories were developed. That makes a difference. I find this article very biased against Dr Santilli. One should take always the time and the work to hear the history from both ends before starting such a smear campaign against a person. Dr. Santilli is a brilliant scientist just ahead of his time. Interesting! Makes me wonder what happened to the Aquafuel patentee working out of the same region who sold their work to “international investors.” Is there anything a high potential electric arc can’t convert? For several years a Chicago entrepreneur has labored quietly building a company to create an alternative to batteries for powering cell phones and other small gadgets. The company, Lattice Energy LLC, deliberately kept a low profile because its core technology, first called cold fusion 18 years ago, has long been ridiculed by mainstream scientists. Lewis Larsen, Lattice’s founder, didn’t want his enterprise tainted by the empty promises of unlimited cheap energy surrounding cold fusion. Larsen, who has had careers in investment banking and consulting, has worked with many scientists doing experiments with what now is called low-energy nuclear reactions (LENR) rather than cold fusion. Even with the name change, he said, many scientists mistakenly still believe they are creating nuclear fusion in a bottle when they thrust palladium or other metals into heavy water and add energy. “A lot of people are doing very good chemistry experiments, but they don’t understand what’s happening,” Larsen said. “They write fine papers but then add foolish speculation.” A few years ago Larsen began collaborating with a theoretical physicist, professor Allan Widom of Northeastern University in Boston, to help him understand why LENR experiments often give off heat and charged particles. Before taking on the assignment, Widom was a skeptic, but Larsen showed him enough experimental results from laboratories in Russia, China and Japan, as well as the U.S., to convince him that something important was happening. The problem soon became apparent to Widom: The experimenters were convinced that atoms of a form of hydrogen called deuterium were fusing together to form helium. “That kind of fusion requires very high temperatures,” Widom said. Rather than look for other explanations, most experimenters preferred to invent new laws of physics to account for cold fusion, Widom said. But instead of a strong nuclear force like fusion at work, he concluded that a weak force was at the core of the experimental results. Electrons were combining with protons to form neutrons, giving off energy in the process. With advances in nanotechnology, Larsen predicts it will become practical to design devices using LENR to power cell phones that can last 500 hours. The technology also might be used to produce power in other settings, but Larsen said, “We’re going for the best available market with lots of demand, and that’s electronic mobile devices.” Larsen, who has competitors domestically and abroad also working on the problem, predicts that within five years there will be power sources based on LENR technology. BlackLight Power, Inc. has created a commercially competitive new source of energy. In BlackLight’s patented process, energy is released as the electrons of atomic hydrogen are induced to undergo transitions to lower energy levels producing plasma, light, and novel hydrogen compounds. 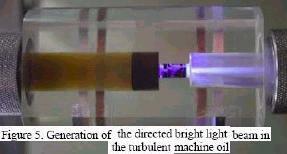 BlackLight uses a chemically generated plasma to form atomic hydrogen, and a catalyst to form lower-energy hydrogen atoms called hydrinos. Since hydrinos have energy levels much lower than uncatalyzed hydrogen atoms, the energy release is intermediate between conventional chemical and nuclear energies. The net energy released may be over one hundred times that of combustion with power densities like those of fossil fuel combustion and nuclear power plants. Thus, the catalysis of atomic hydrogen, the BlackLight Process, represents a potential new source of energy. The hydrogen fuel is obtained by diverting a fraction of the output energy of the process to power the electrolysis of water into its elemental constituents. With water as the fuel, the operational cost of BlackLight Power generators will be very inexpensive. Two of the potential applications of its technology are in the heating and electric power production. BlackLight’s experimental results provide strong support that special formulations of hydrino hydride ions may react to form the corresponding observed much more stable hydrogen molecule called the dihydrino molecule. The more stable the molecule, the more energy given off in its formation. Based on the measured energy difference between the resultant molecule and the starting reactant hydride ion, the energy release may be more than ten-times that of conventional energetic materials. A hydrino hydride-based propellant with the energy release per weight of many factors that of the hydrogen-combustion reaction currently used to propel the space shuttle may be transformational especially given the logarithmic dependence on fuel-weight to lift in the rocketry equation. USP6,024,935 (2000) Lower-Energy Hydrogen Methods and Structures by Randell Mills, et al. For the first time in history, the key building blocks of organic chemistry have been solved from two basic equations. Now, the true physical structure and parameters of an infinite number of organic molecules up to infinite length and complexity can be obtained to permit the engineering of new pharmaceuticals and materials at the molecular level. The solutions of the basic functional groups of organic chemistry were obtained by using generalized forms of a geometrical and an energy equation for the nature of the H-H bond. The geometrical parameters and total bond energies of about 400 exemplary organic molecules were calculated using the functional group composition. The results obtained essentially instantaneously match the experimental values typically to the limit of measurement. BlackLight Power, Inc.’s subsidiary, Molegos, Inc. changes name to Millsian, Inc. and is dedicated to developing the molecular modeling applications of Classical Quantum Mechanics (CQM), a revolutionary approach to solving atomic and molecular structures. All the major functional groups involved in most organic molecules have been solved exactly in closed-form solutions with CQM. By using these functional groups as building blocks, or independent units, a potentially infinite number of organic molecules can be solved. As a result, Millsian software can visualize the exact 3D structure and calculate the heat of formation of almost any organic molecule. By contrast, previous software based on traditional quantum methods must resort to approximations for even the simplest systems. Millsian, Inc. will license its molecular modeling tool for use by a variety of industries. The prototype is now under development; please inquire if you would like to be notified of the planned release date.